Caprese is something between a light snack (as the Italians say - Antipasto) and a salad. The name comes from the island of Capri in Italy, where it was invented. Thanks to the red-white-green color, imitating the colors of the Italian flag, caprese has become one of the national dishes of Italy. 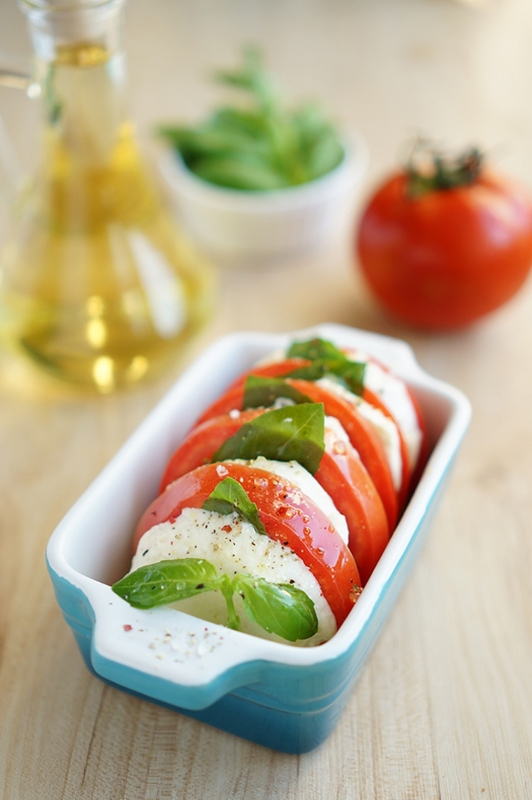 Caprese is very simple to prepare, but the taste is truly Italian. 1. All you need is to pick basil leaves, cut cheese and tomatoes at 1 cm thick rounds. 2. Lay out all ingredients in turn, you can expand around the circle of the plate, you can do a "pile" or as small canapé with skewers. Ideal for a summer snack. Bon appetite!